When I started this blog then I use to focus on single or two term keywords like SEO/Online earning. But after 3-4 month I observed that I was not getting traffic at all and one thought created in my mind that Blogging is not simple task and I can’t do it. Then I took suggestion from few of my friends who were success in blogging and they ask me to focus on “Long tail keywords” rather than short..but again I was confused how long tail keywords is good if their volume is very less.. 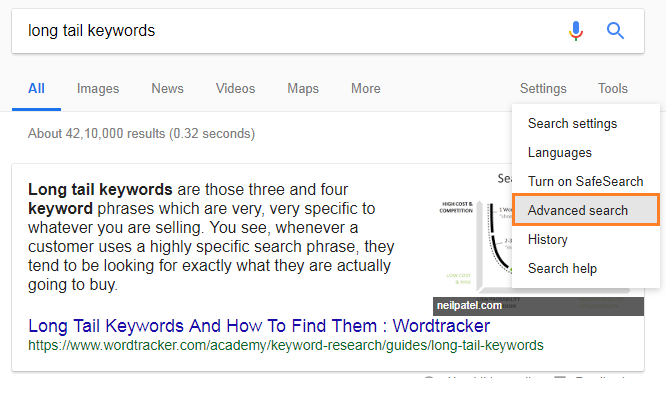 But after few research I found that Long tail keywords cover your short term keywords and have very less competition so easy to rank them..
Long tail keywords like “Top 5 places to visit in India” or “Top 10 tips to improve your website traffic” have a better ranking compared to short keywords. Statistics say that total number of sites across internet has reached more than a billion compared to just 603,367 sites that have been registered in the late 1996. 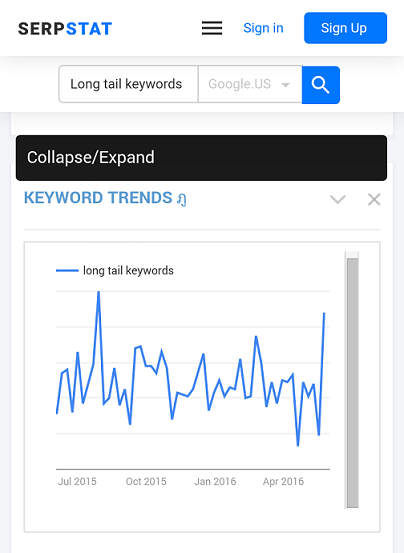 With drastic increase of internet and the various algorithms used by the search engines, Long tail Keywords was born to increase the visibility and traffic of a website or article. Long Tail SEO is nothing but key words that have three or more than three words, that are easier to search and hence, easier to rank because of low completion. Google search is on of the common tool that majority of the population use. I consider it is one of the best long Tail Keywords tool. Well, it is the first tool that I would commend. Apparently it does work efficiently too. All you need to do is add your keyword in the search section and the auto complete option will do your work. However, when you search on Google remember to clean your search history first as it might show you the previously researched words. Moreover, it might not tell you about the traffic that the words generate. For that feature, you might have to switch to Keyword planner. Google keyword planner will give you the unique set of long tail keywords. The above tool uses Google search engine to retrieve a list of long tail SEO keywords based on the Google auto correct feature. You can easily download the entire list in a .CSV format. Hittail is an awesome paid tool that boosts your website’s (business, e-commerce or personal) results. It will suggest a list of keywords you should target to improve the traffic on your website. The ROI for this is tool is amazing. Wordtracker is an effective long tail keywords tool to retrieve list that can give profitable results. Register yourself for free and receive 100 keyword results. You can easily find long tail keyword topic ideas using this tool. It is a free long tail keywords research tool that helps in giving you ideas. 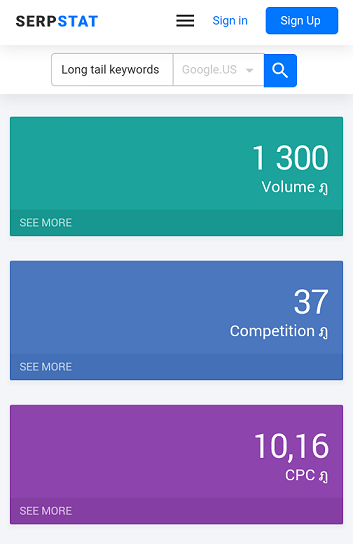 It also provides information like competition and search volume. On the home page of Ubersuggest, enter your keyword. Click on the suggest button and it will welcome you with massive range of possible long tail keywords. However, if you are fine with the Google planner then you can stick with it too. LongTail pro is a desktop based paid tool that gives you complete insight on long tail keywords. You have a 10 day free trial where you can use the toll before buying it. IT offers numerous features to make your content a profit for your website. This is on of the most popularly growing tool in the SEO, content marketing and PPC world. Operating Serpstat is very easy. 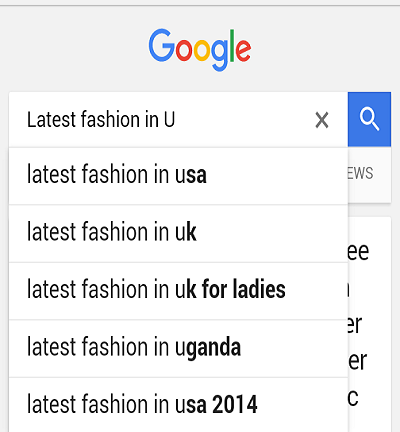 When you enter your keyword into the search box, it gives you a lot of information apart from the long tail keyword. It not only gives the volume data but also the competition of that keyword online. Moreover, it also provides stats of the trend of the keywords. What else would a blogger ask for? 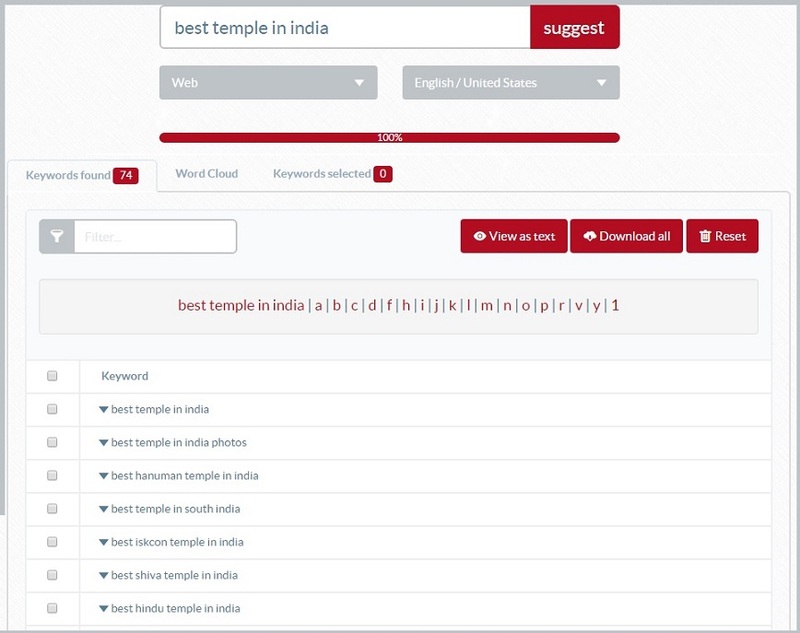 Keyword tool applies Google AutoComplete tool, which helps in speeding up the search for long tail keywords. The free version may give up to 750 keywords suggestion. It further is useful for more then 80 other languages apart from English. Moreover, it avails a descriptive set of keywords and is one of the best for keyword generator tool. You can also research for keywords apart from Google i.e. on Amazon, Bing, App store and Youtube. Indeed long tail keywords play an important role in attracting a good number of traffic. Moreover, if you know how to search for the perfect long tail keyword then nothing can stop you from being discovered. Google rank is a long way goal however, to achieve that you would need to combine long tail keywords with your masterpiece wherever possible. This will not only get you discovered but also increase the regular traffic. After all, visitors and readers are the ‘dream come true’ factor in a blogger’s life. However, there is on more thing that you need to know. What is that? It is LSI keywords. Have you heard of it before? You have not. Do not worry; it is not a difficult thing. LSI stands for Latent Semantic Indexing. Sounds like a complex term, however, it is not complex. Let me simplify with an example. 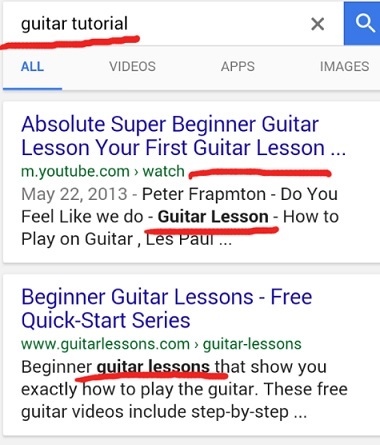 In the above picture, the word that I have entered is ‘guitar tutorial’ however, in the search result neither the first nor the second result has the word ‘tutorial’. Instead, the result includes the word ‘lesson’. Moreover, the search box does not consist of the word ‘lesson’. That is the feature of LSI keywords. It is indeed a ‘Knight in shining armor’ for the bloggers. Thus, to explain it in a simpler form LSI keyword is a synonym keyword that helps in enhancing your blogging experience. 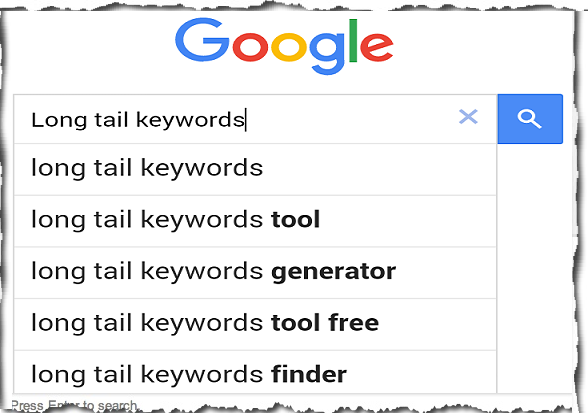 How can you benefit from using Long Tail Keyword? We explore the internet via search engines to find places where we can buy what we want or places where we can gain knowledge. A good long tail keyword will help you to put your website in top ranking and more visits or customers to your website. Most of the traffic arises from the search engine and hence it is important to have Long tail Keyword to ensure optimization. Let us now look at the various techniques that we can use to do so. 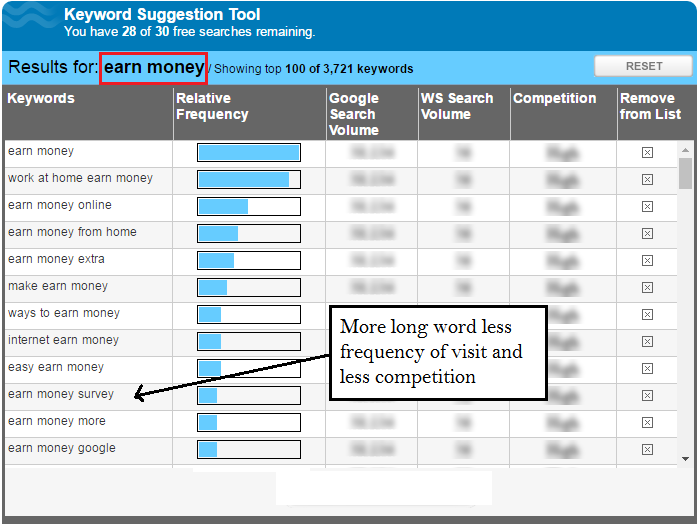 Use more than three words to get a good Long tail Keyword. Increase your word limit for the keyword to ensure you have a specific phrase to search. It will increase your traffic thereby, increasing your sales or viewership. Create more web pages, a page for each product or service. This will allow you to have multiple long tail keywords, giving you a good probability of increased hits. Increased Hits will lead to better rankings in the search engine algorithm. Your Long Tail Keyword should be perfect and hence you need to be very careful on what you choose. Make sure that your Keyword is not generic as that will target the established brands. It has to be specific to your content and what your viewers want. You can use online tools to generate keywords that are profitable to you. Long tail keywords should be user friendly and specified for better search results. Keywords should be preferred based on the market competition. Less competition may increase the odds of your discovery. Check whether your keyword has maximum searches. Some keywords can vary according to the location. For example, if your post is related to latest fashion in USA, then mention it in your keyword. Using Long tail keywords, you can direct your viewers towards your article or website via the search engines. It helps you to improve your sales and hits by ranking you well. You need to select the tool and technique that best fits your need. You need to make your website easily accessible to the viewers by adapting to SEO strategy. You need to be wise and clear on what SEO strategy to use to ensure that you generate more traffic that leads to more sales and less cost.